I can’t tell you for how long I wanted to own a 3d printer! Probably since first time I heard about them 🙂 But they were really expensive and I didn’t really have room for one. No more excuses! I started to do a research on what 3d printer to get. I wanted to build one to save as much as possible on cost but also didn’t want to get printer with tiny printing space. 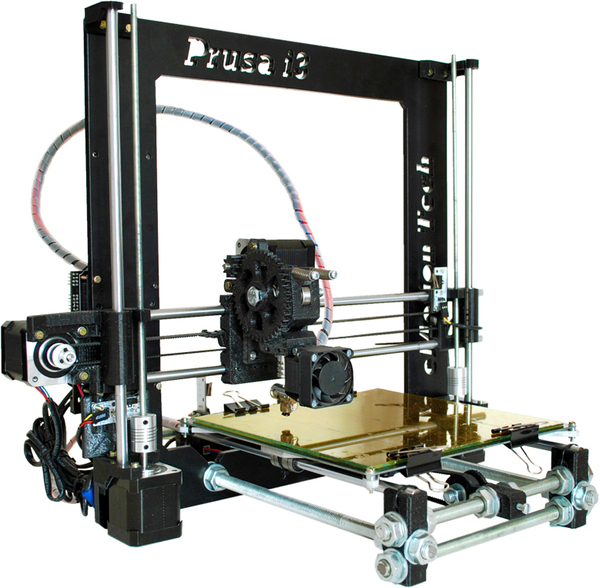 After some research it was a decision between Prusa i3 and Mendel Max 2.0. Mendel Max seems better, but it didn’t have any easy to find BOMs. So I decided to get Prusa i3 and started collecting information. There’s a lot of instructions, BOMs, etc. out there, but to me they all very incomplete. Why couldn’t anyone just create a clear list of all components AND provide all the sources where they got them (like what I did with my DSLR Camera slider)? At best these lists were 50% complete. But still they were pretty useless and with some research I was able to find all components and estimate build cost. It seems to go between $500-$650, which was still a tad too much. And then I stumbled upon replikeo.com site.